Some of you may have read some of my past posts when the wonderful auto company Kia has let us borrow some of their vehicles to test out for a week. I usually mention that my husband and I aren’t “car” people and we just really need something to get us from point “A” to point “B”. As of right now, my husband’s car is 11 years old and my car is 10 years old. We haven’t had a car payment in years and life has been pretty good for us in that category. Lately, in about the past 6 months, we have been having various problems with my car. You know the old saying that “It is cheaper to fix the car you have than to buy a new car”? Well, that IS true…. Until it’s not….. We have spent way too much money on the car lately and we are starting to become a little restless. 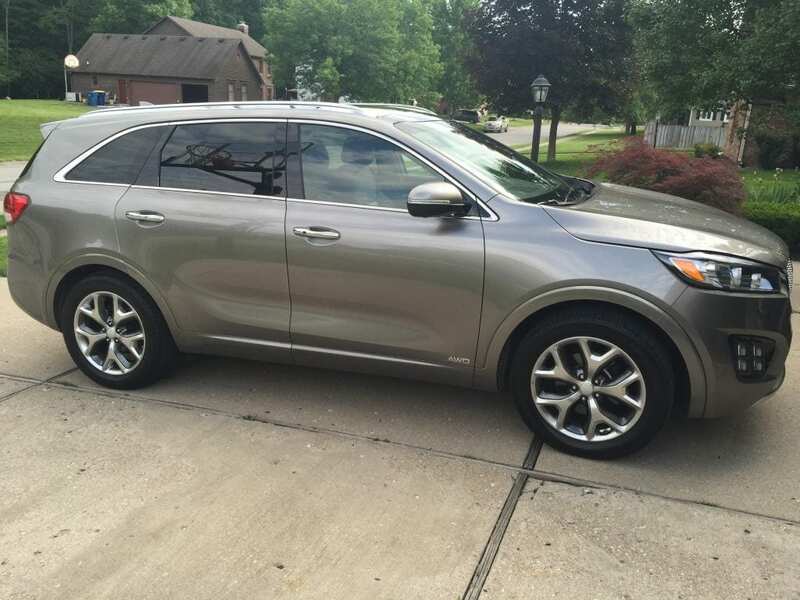 So when the brand new 2016 Kia Sorento SX landed on our driveway the other day, I thought to myself, “this could be it, this could be the review that breaks us down and gets us a new car”. This is the third time that we have reviewed a vehicle for Kia and every time, we have been extremely impressed with their product. So these are the thoughts that I had as I slipped into the driver’s seat of the new Kia Sorento. 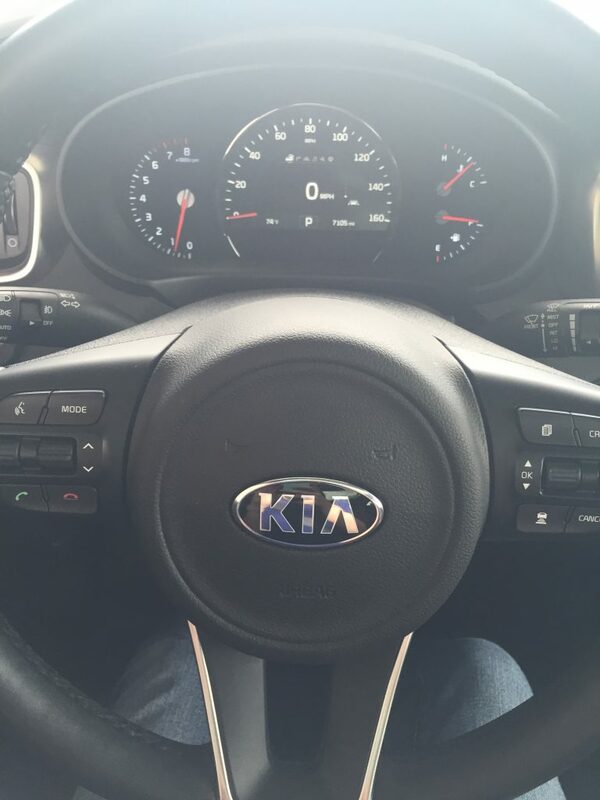 The inside was as sleek and modern looking as I have come to expect from a Kia vehicle. 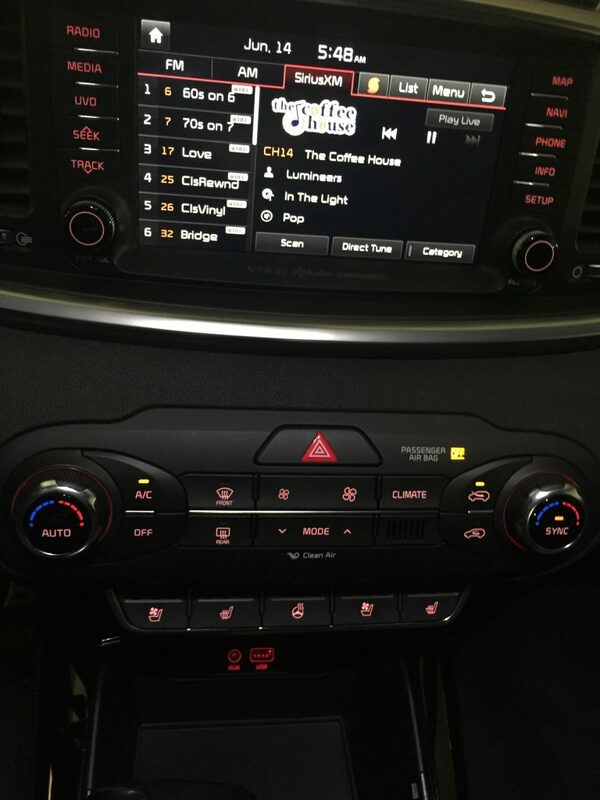 Seriously, we review lots of different car companies and Kia has everyone beat on interior. There was the 8-inch display with Voice-Command Navigation and Sirius Satellite Radio. Also on the 8-inch display is rear-camera feed and the Surround View Monitor (which is super cool although I still don’t full understand how it works!). They had all the necessary ports that we need nowadays. An USB/Auxiliary Input Jack, USB 2.1 Charger Ports, 12-Volt Power Outlets and even a 110-Volt Power Inverter. These are just some of the things that I immediately noticed in my first impression of the vehicle. I actually didn’t get to spend too much time with it because my husband had to use it to drive about 2 hours north to go see some family. So off he went on the open road to see what the car could really do “out in the wild”. It was during this trip that he discovered two things about the Kia Sorento that we didn’t even know existed. The first thing was that the seats had both a heating AND cooling feature. We had heard of heated seats, but not of air-conditioned seats. So there was my husband, driving in the middle of a 90 degree, humid day, and his back was getting sweaty like it always seems to this time of year. He happens to glance down at the dashboard and sees the button for seat cooling. He presses it and…… ahhhhh…. He called me from the road to tell me about this, he was so excited. Maybe cooled seats aren’t that big of a deal to you guys, but our cars are 11 years old! So, these things are pretty neat for us. The second thing he noticed was the Advanced Smart Cruise Control. But he didn’t know what it was at first. He had the cruise control set on the 4-lane highway and, like always, someone was going slightly slower that he was. As he approached that vehicle, the Kia automatically slowed down to pace itself with the vehicle in front of it. Then, we he switched lanes to pass it, the Kia automatically resumed it’s original speed that it was set at. This makes driving long distances so much easier, you don’t have to keep tinkering with the cruise control to manage all the different cars going different speeds. Your Kia will do that for you! We love it! 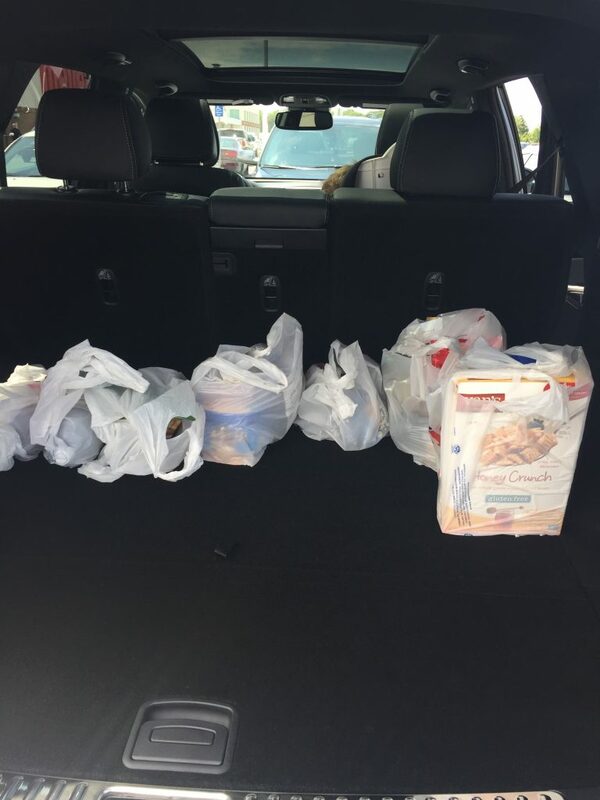 The interior was spacious with plenty of room for our daughter’s car seat and our son’s booster seat. Our model didn’t have the third row seating to make it a 7-passenger vehicle but you can choose that if you want it. I’d image that third row would be a little cramped but it would do the job for car pooling to soccer or taking the neighbor’s kids to the movies. 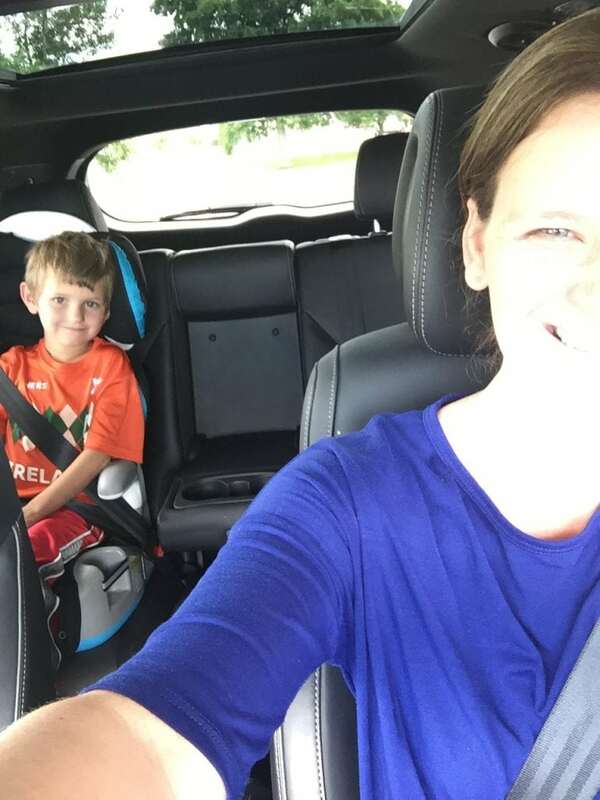 The panoramic sunroof was fantastic, along with the power sunshade tilts to keep everyone comfortable no matter where the summer sun is located. 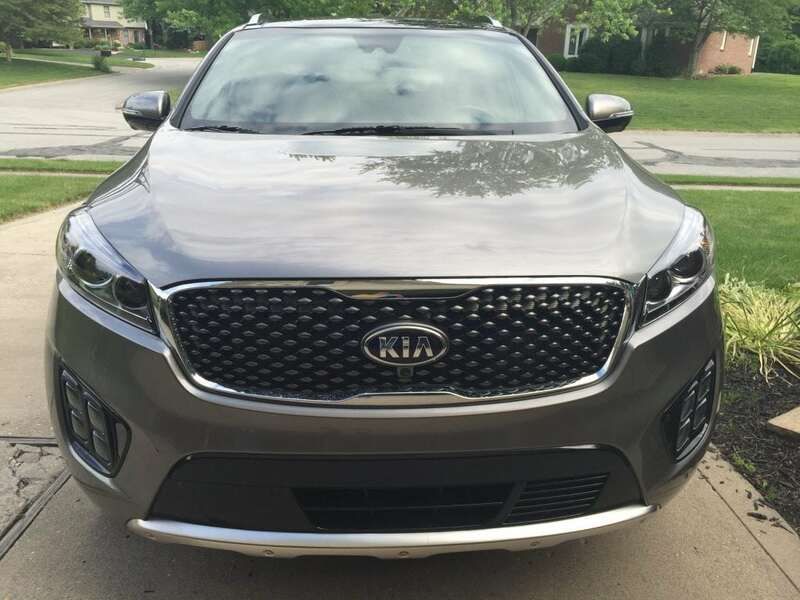 The Sorento SX V6 starts at $38,300. Our model was just above $43,000. This is fairly comparable to other SUVs of its scale. There are models starting down around $25,000 but they won’t have the cool features (or the engine) that the SX V6 has. A huge thank you to DriveShop and Kia for lettings us test out the Sorento for a week. All opinions are 100% mine.